We provide you trust and assurance on their all jewelry purchases. Only a Preferred Jeweler can offer you the Lifetime Nationwide Warranty program at no additional cost to you. 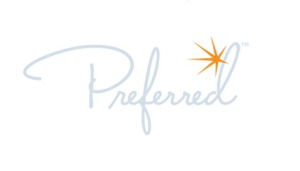 Preferred Retailer is part of an ever growing and expanding elite nationwide network of over 158 superior independent jewelers. Trust and assurance is what everyone wants and needs when it comes to their special jewelry purchases. Only a Preferred Jeweler can offer you the Lifetime Nationwide Warranty program at no additional cost to you. The Nationwide Lifetime Preferred Warranty Program assures you that your Preferred Retailer is part of an ever growing and expanding elite nationwide network of over 158 superior independent jewelers. Another benefit of your Preferred Warranty is that you will receive automated email notifications, 30 days and 14 days prior to your inspection due date. These reminders will help you to keep your purchase under warranty, valid and in good standing by visiting your Preferred Retailer every 6 months. Criteria for issuing a warranty varies by retailer. This is a Lifetime Limited Warranty on your item. Ask your Preferred Retailer if you are eligible for the Preferred Lifetime Warranty. The Preferred Warranty program provides Lifetime maintenance and assurance, to maintain the beauty and longevity of your jewelry for years to come.